Support the Arts by Donating Now! The Big Stone Arts Council will hold an annual meeting on Tuesday, November 28, at Lingonberry’s Coffee and Pastry Shop in downtown Ortonville starting at 5:30 p.m. Specialty coffees and beverages will be available for purchase, with complementary appetizers and regular coffee and water available. The annual meeting is a chance to reflect on the past year and to look forward to new opportunities for the coming year, and an invitation is extended to those who would consider joining the BSAC group. Besides the short business meeting, socializing is welcomed. 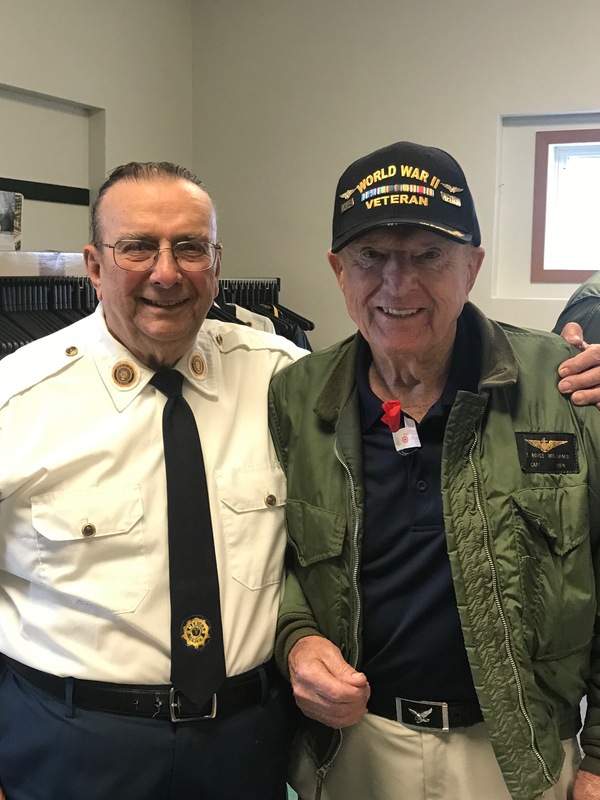 Members of the BSAC have been actively involved in various community activities through the past year, including Lake Days, Cornfest and the Upper Minnesota River Meander Art Crawl. This is an opportunity to celebrate the volunteer hours promoting and celebrating the arts and artists in the surrounding area. 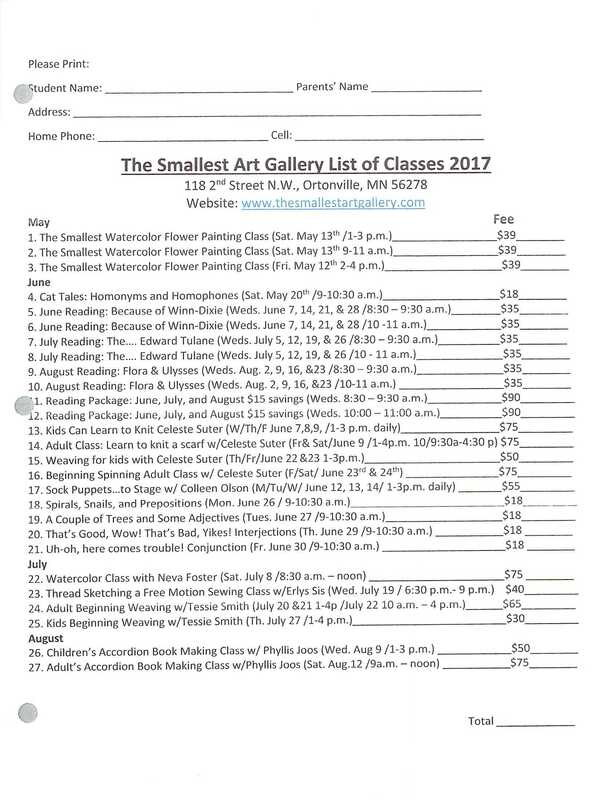 The Smallest Art Gallery has posted a list of 2017 Classes! About Kathleen Marihart (taken from her website – www.thesmallestartgallery.com) – The first half of my life I was an elementary school teacher, then after 25 years, I went back to school and received a Masters of Education and a Reading Recovery Certificate. I have been a Reading Recovery and Guided Reading teacher since 2003. My specialty is teaching reading strategies. Somewhere to Begin – A Singing Workshop & Evening Concert for all Ages! Singing workshop for all ages. No experience needed. Singing opens the heart and re-enchants the spirit. Harmony brings harmony! 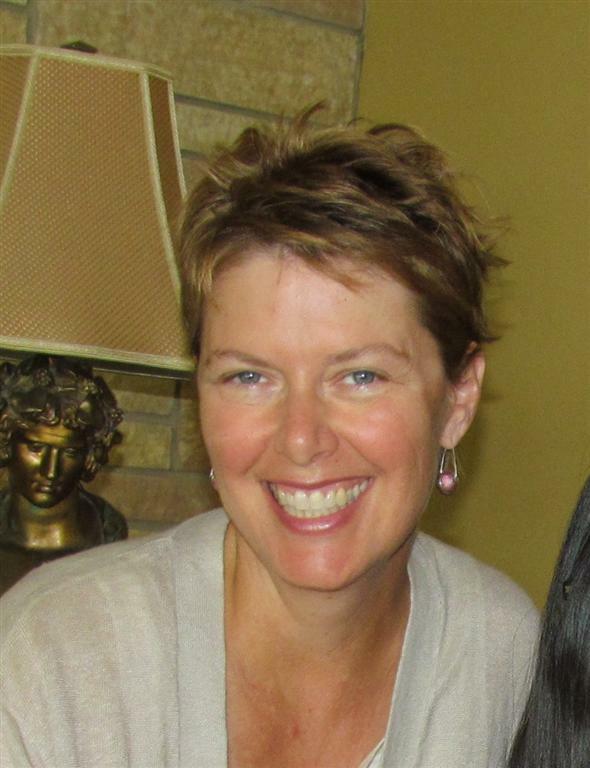 Sara’s teaching style is relaxed, energetic, and creates a safe atmosphere. Registration: You must complete this registration step for each individual. Note “Sara Thomsen tickets” in the memo. To pay by credit card: CLICK ON “Link to make a payment” below, then click on the secure PayPal link (highlighted in the middle of the page) and follow directions in the DONATE form. Note “Sara Thomsen tickets” in the “Special instructions to seller” section. Made in Big Stone County Items Needed! 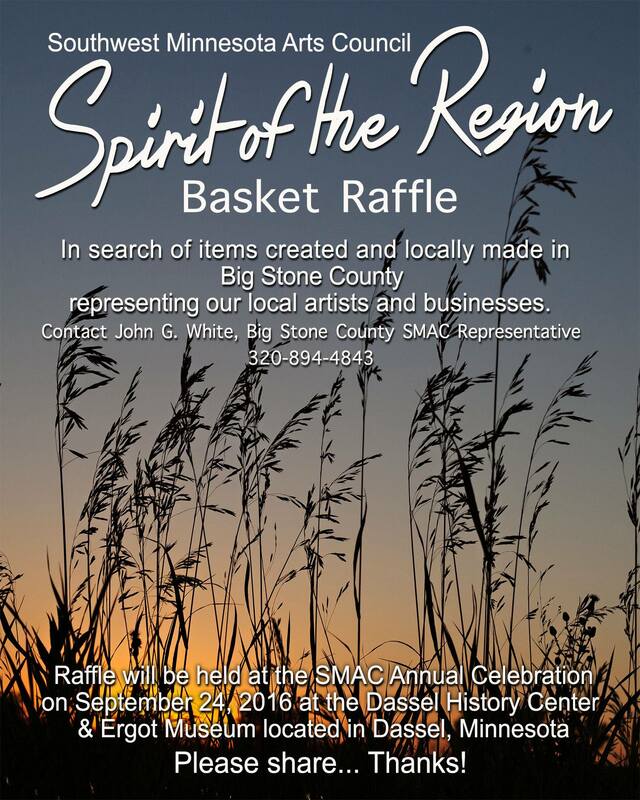 Southwest Minnesota Arts Council “Spirit of the Region” Basket Raffle project is in search of items created and locally made in Big Stone County! The “Cari Me” project was inspired by the GIVING SPIRIT of Becky Stattelman’s late sister Cari. Becky leveraged “Art” to encourage each of us to “Please step forward” by giving to local causes and to honor art as a vehicle that can make a difference. The Big Stone Arts Council has been anticipating the opportunity to play our part. Let’s make ours a Big Step Forward! Congratulations Becky, on behalf of the Big Stone Arts Council. The Big Stone Arts Council has posted updates on their Facebook Page – we will now start posting regularly on our website! This video is about our Water Plant Building project (we are working on an official name for the project). As we move forward with our vision for the water plant building it is critical to have specific input from our artists. Our goal is to have this space first serve artists but also stand as a hub for connecting community. The versatility of this space will strengthen sustainability. Please give some thought to the questions on the attached survey and give us your input – Thank you!! publications. She writes a blog, “Fly-over Country,” on her website: www.mariannezarzana.com. For those ready to dive into the deep end of the literary pool, award-winning fiction writer and editor, Judy Wilson, offers a day-long, intensive workshop designed for participants with a prior awareness of the qualities of good literature, prior practice in the craft of writing stories, and an ability to offer an aesthetic response to the writings of their peers in the workshop arena. Participating writers benefit from the feedback of a ready audience of their fellow writers who will give serious attention to their work in a casual and friendly atmosphere. This is the perfect opportunity to find out what’s working and what’s not in your stories. Because of the serious scrutiny given to each writer’s work, this workshop is limited to 10 participants and registration deadline for this session is August 25. You will be notified when successfully registered. Each writer will submit a short story (typically 8 to 18 pages), double-spaced, preferably in Times New Roman, 12 pt. font. Short stories are either fiction or creative non-fiction. Submit stories as Word or PDF file attachments tojudy.wilson@smsu.edu. In the subject line, type Lakeside Participant and your last name. (For example, Lakeside Participant Capulet) The deadline for story submissions is August 31st. The collected stories will be distributed to the group by email on September 1st so that each participant can print, read, mark up, and develop a response for each story prior to the weekend workshop. Guidelines regarding providing feedback to workshop stories will accompany the distribution of stories. Author Marianne Zarzana will present to participants a wide range of writing experiences including poetry, non-fiction, fiction, and blogging. She will share habits and strategies such as images, energy, tension, pattern, insight, and revision. These strategies help produce good writing in any genre. In this hands-on workshop, participants will be exposed to examples of strong writing and will generate their own writing. Zarzana guides participants to the good stuff—the powerful, lasting images we want to create and the stories we want to tell. Creative writing is fun, and this is an opportunity to play and explore, to leave your inner critic at home and freely express yourself in a supportive atmosphere. Deadline for registration for this session is September 15 and the group is limited to 30. For the half-day Sunday session, fiction writer Wilson and poem Zarzana come together to divulge a wealth of information on taking care of the business side of writing. Topics covered will include promotional strategies such as creating blogs, networking, attending conferences or writing events, scoping out literary agents, submitting work for publication, entering writing contests, participating in or organizing a writers’ group, and sustaining the writer in you. 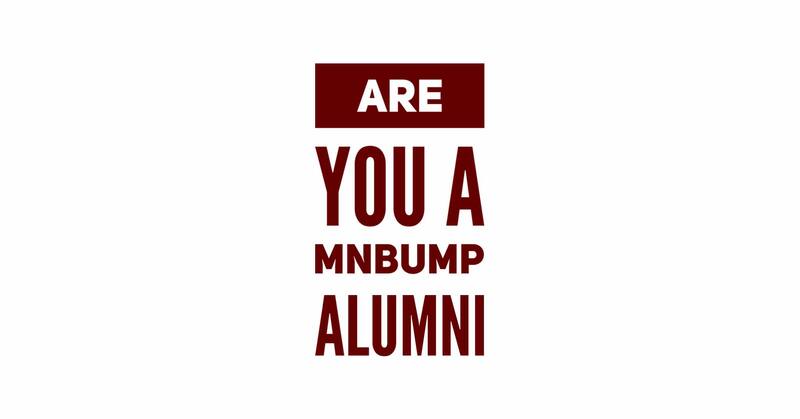 Registration for Senior (65+) and Traditional (up to age 22) students is $65. All other students are $75. Registration includes a light breakfast, lunch and dinner on Saturday and a light breakfast and lunch on Sunday. A reduced fee is available for students and senior citizens. The workshop will go from 9 a.m. to 4 p.m. on Saturday, followed by dinner, and from 9 a.m. to 1 p.m. on Sunday. Register online: writers weekend registration and pay here. This activity is made possible by the voters of Minnesota through a grant from the SW MN Arts Council, thanks to a legislative appropriation from the arts and cultural heritage fund. After three years of negotiations, Big Stone Arts has a commitment from the City of Ortonville to procure the water plant building next to Lakeside Park. Transforming this dilapidated building will be an ambitious endeavor. While Big Stone Arts has a committed core group, we are looking for people who are able and willing to contribute to the process, whether that’s in construction, physical labor, design, financial contributions, or simply supporting us in the vision. Once a month, Big Stone Arts meets in the downstairs basement of the Ortonville library. The meeting is held at 6:30 PM every second Tuesday. We welcome your participation at these meetings. Being an artist is not a prerequisite. This is a wonderful group of people who are creative and inspired and want to contribute to our community and region. On Tuesday, February 11, our presentation will be “Show and Tell.” My plan for that meeting is to do a book review and relate it to the water plant building. As I began to create my notes and a handout, I realized there could be some value in publicizing the information. What follows was created with that intention. Daring Greatly: How the Courage to Be Vulnerable Transforms the Way We Live, Love, Parent, and Lead written by Brene´ Brown, published by Gotham Books, copyright 2012. Brene´ Brown has a PhD in social work and is a research professor at The University of Houston. When I consider a project that seems significant, I asked myself the following questions: 1. Can I imagine it? Can actually see the outcome? 2. Is it in service to something greater than me? 3. Is it in alignment with my personal beliefs and my life mission? 4. Is it attainable and realistic? 5. Do I feel passionate about the project? For me, in regards to the arts procuring the water plant building, I have sustained a resounding YES to all of these questions. But I also know I am not in charge. This isn’t about me or any one person specifically. The image that comes to mind is an Amish one of “Raising the Barn.” The truth is this project will require the assistance from people in all walks of life, not just artists. This renovation will require all of us to dare greatly, to be in the arena, to be vulnerable, to be seen, because—really—the whole community is watching. If we are able to embark upon this endeavor truly consciously, respectfully and mindfully, we will have created something valuable for our community and in that process become better at being human. We stand, ringing the bell, asking that you to come and help us raise the barn. Our next Big Stone Art’s meeting is scheduled for Tuesday, February 11 at 6:30 PM, downstairs in the Ortonville library. We hope to see you there! Edie Barrett is an artist and writer who moved to Ortonville in 2011 after living for 26 years in Santa Barbara, California. During the turn of the century, her ancestors lived in this area. 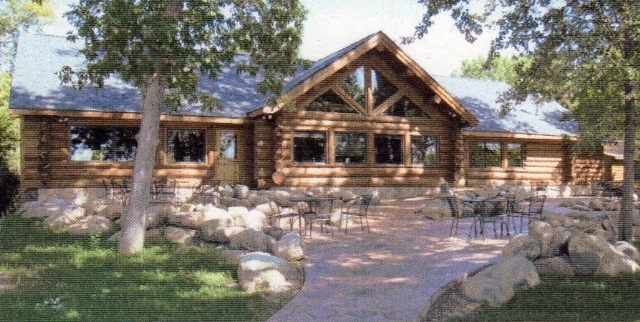 Her grandparents, Julian and Clara Bursheim, lived in Waubay and Summit, South Dakota. Her great-grandparents were Catherine and Carl Wold of Clinton. Public welcome…Come see what’s next for the arts! 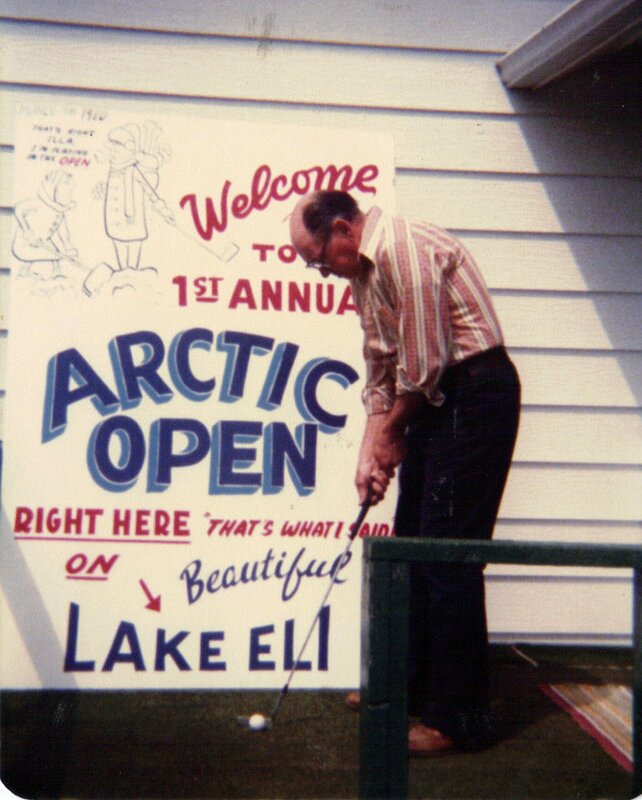 40th Annual Arctic Open in Clinton this Weekend!